About 1 in 4 people with diabetes will develop at least one serious foot ulcer in their lifetime. As much as 15 percent of diabetic ulcers do not heal, and those that don’t heal result in an amputation about 25 percent of the time. Diabetic ulcers are by the most common underlying cause of non-traumatic amputations in America today. Approximately 95,000 lower limb amputations are performed on people with diabetes in American alone, every single year. Worldwide, it’s estimated that a leg is amputated due to diabetic complications every 30 seconds. Are we trying to scare you with these numbers? But it’s not because we’re mean or because we want you to be depressed or panicked. It’s because we want you to take action. If you have diabetes, if you have metabolic syndrome, if you’re overweight, if you haven’t cut sugar out of your diet—you may be heading down this track. But chances are you still have time to get off—if you start now. It’s important to clarify here that peripheral neuropathy, or a failure of the nerves in your feet, is really at the heart of almost all foot wounds and amputations, because the condition takes away your brain’s ability to feel injuries and wounds as they happen. We often talk about diabetic foot wounds because diabetes is so commonly linked with neuropathy, but really, you don’t need a diabetes diagnosis to have this problem. Phase 1: You notice occasional, intermittent pain and numbness in your feet. High blood sugar has already begun to damage your nerves, but you probably don’t have diabetes (yet). 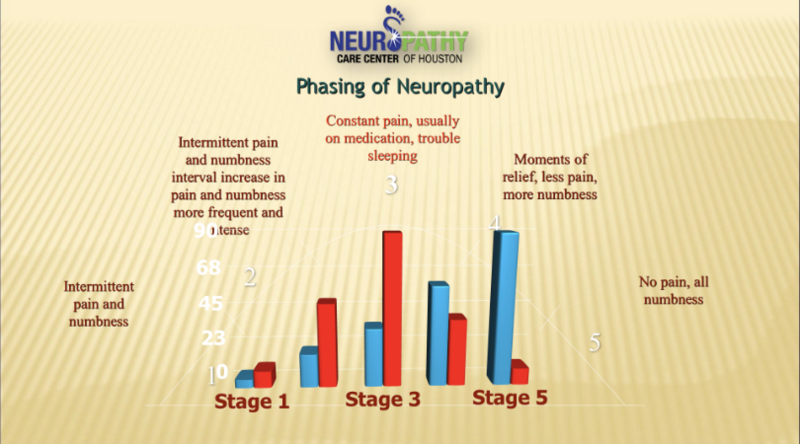 Phase 2: Intermittent pain and numbness become more frequent and intense. This is something of a tipping point. If you seek treatment and change your habits now, the damage is probably still reversible. If not, things could get much more painful and dangerous for you in short order. Phase 3: By now the pain is so intense and constant that you need medication to manage it. Your risk of developing an ulcer starts to really increase substantially during this stage. It’s also pretty much your absolute last chance to reverse course—it’s a matter of life and death. Phase 4: Pain starts to decline in duration or intensity—not because you’re getting better, but because the nerves are disintegrating. Declining sensation makes you less stable and secure in your footing, and more likely to develop severe diabetic complications. Phase 5: Total, very likely permanent numbness in the feet. As we said, already by the time you hit Phase 3, wounds and amputation become a much larger risk. If you progress to stages 4 and 5, not only does that risk continue to climb, but it also become irreversible in most cases. But it’s important to establish that, for most people, the journey through these stages is a long and slow one. Most people have been living with high blood sugar, if not a full-blown diabetes diagnosis, for decades before reaching this point. And that means that, if you seek treatment and make a concerted effort to change your diet and your other habits before reaching the final stages, there’s still time to stop them from occurring. That’s something we can help you with. We offer a breakthrough neuropathy program using cutting-edge treatments, including electrochemical nerve stimulation and laser therapy. Dr. Parker is one of just a handful of doctors nationwide trained in Johns Hopkins’ A. Lee Dellon, MD, PhD. surgical nerve decompression techniques. 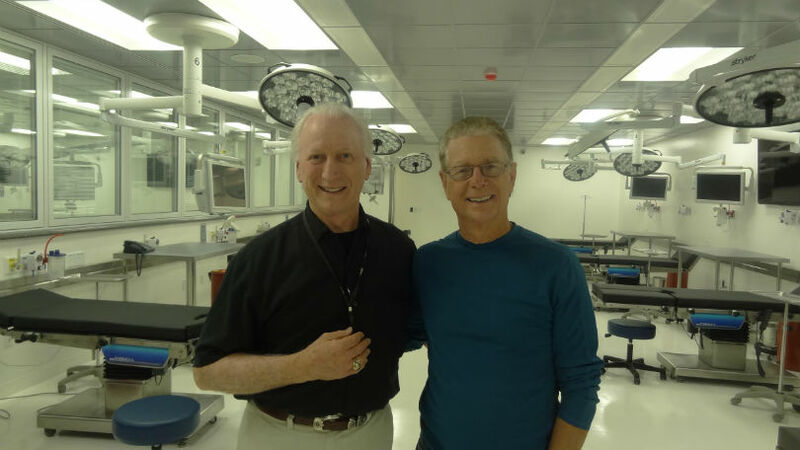 Dr. Parker is also on the surgical faculty teaching the Johns Hopkins procedures devised by A Lee Dellon M.D, PhD. When you visit us in Houston, we’ll not only make sure you get the treatment you need, but also that you get all the education and resources you need to make positive and healthy changes to preserve your feet and fitness for the long haul. It could save your feet. To contact Parker Foot & Ankle and schedule an appointment, please call us today at (281) 497-2850.